Here we have a Zion Model Fifty in basic black. 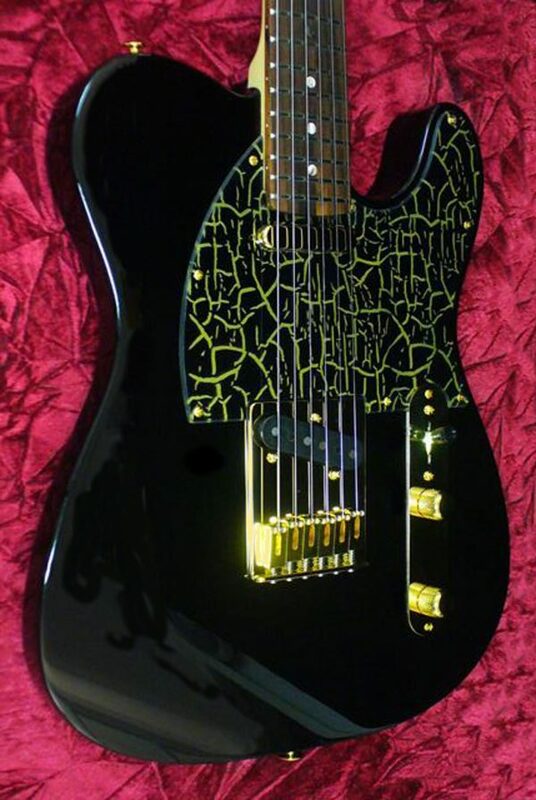 It is dressed for elegance with a custom-painted pickguard in black and gold. The refined styling and contoured body (complete with ‘tummy cut’ and shoulder contour) makes this guitar comfortable to play even in extended gigs. 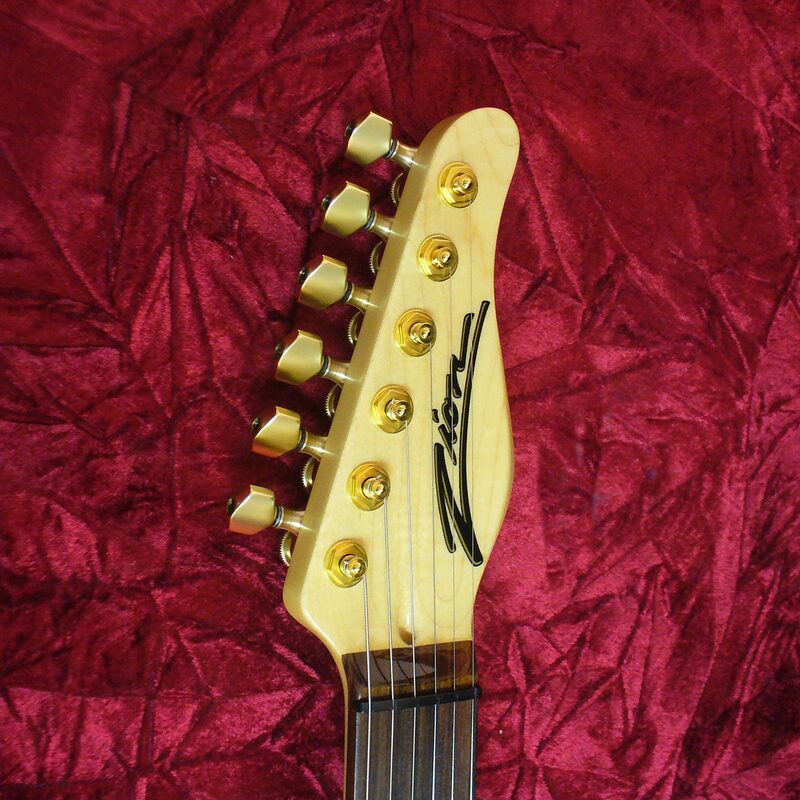 This particular Fifty is made with alder and has all the spank one normally expects from an instrument of this style. Plus, we’ve thrown in a 4-position selector switch which gives an additional tone (both pickups in series) that totally rocks. This is an extremely versatile instrument that will be at home on any stage in the world.